The Middle East was, for a time, synonymous with stratospheric growth. Driven by the economic potential of massive natural resources, double digit annual growth became accepted, and then expected, and as a result it saw huge levels of investment. However, in 2009 the whole region saw a huge correction. Housing prices - a typical economic bellwether - dropped for the first time in six years and dropped hard. News reports of ex-patriates fleeing the region, leaving behind a graveyard of expensive cars ran on every major business channel. Now, buoyancy has returned, but marked by a clear caution and move to maturity. Nowhere is this more evident than within technology, as businesses across the region undergo a rapid evolution. Technology projects were previously defined by large upfront investments in some cases with a distinct lack of focus on the ROI they would deliver. Now organisations are taking a more pragmatic approach focused on ensuring that the assets and technology they have acquired deliver business benefit and add value to the areas they were brought in to support. This can be seen in any number of requests for information. Whereas previously the initial concerns behind a software purchase were a full features list and technical specification, followed by price, businesses throughout the Middle East are now looking at business processes and the demands that process improvement will make on the technology they are evaluating. There is a simple expectation that the features needed to achieve this change will be present in the software and the fetish for functionality has given way to a desire for improved processes efficiency. The benchmarks for this are advanced Western European and Asian implementations. 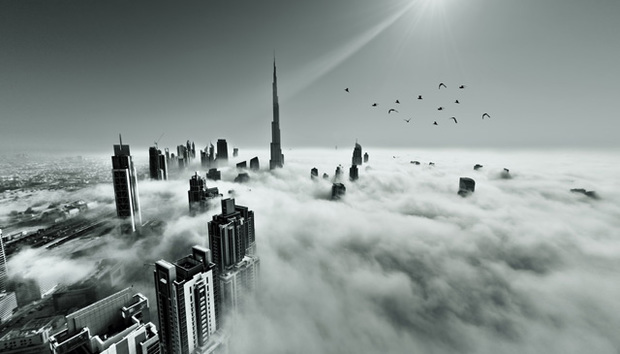 Within the ME region, early technology implementations focused on finance and HR. HR technology has been a vital component of many businesses within the region as they look to identify, recruit and retain talent across ex-patriate communities. The typical application of this technology has rapidly evolved from a simple database of people to a tool that can help effectively combat the high staff turnover that has plagued many ME businesses. This is a pressing concern that remains high on the list of priorities for ME businesses. This focus on HR has now typically been joined by a focus on operational areas such as warehousing, transportation and the supply chain. In addition there is strong interest in asset management as businesses look to maximise the up-time of investment in plant and machinery. In these aspects, the region has already begun to exploit the opportunity to skip a generation of technology as there are few large legacy implementations to hold back progress. As a result there are a lot of projects developing characterised by strong integration - where the established processes of sales and purchasing are keenly connected to the systems governing stock levels and delivery timeframes. Social media is playing an increasing role in facilitating this collaboration - the Middle East has very high use of social media and many organisations are already exploring how to use the instant messaging and collaboration facilities of this technology. Mobile is also of keen interest to many businesses looking to develop the most mature deployment of the technology they have invested in. Dubai, Abu Dhabi and Qatar are all making in-roads into becoming smart, WiMAX connected cities. For businesses this presents a huge opportunity to deploy the latest generation of mobile technology. It is this development towards advanced, integrated deployments of business technology that is now driving the ME technology industry. Whilst the commitment and enthusiasm of early investment remains, it is now joined by a focus on process improvement and a drive for tangible return, leading to sustainable growth and a rapidly maturing market.